Today this post is going to be about a product I've been loving lately. So maybe after you read this you will love it too! My mom brought this to use for her hair. But if any of you are like me, anything mom gets I want it to! Right now I have a hair routine so I have not used this yet, but I do use this on my sister's hair. 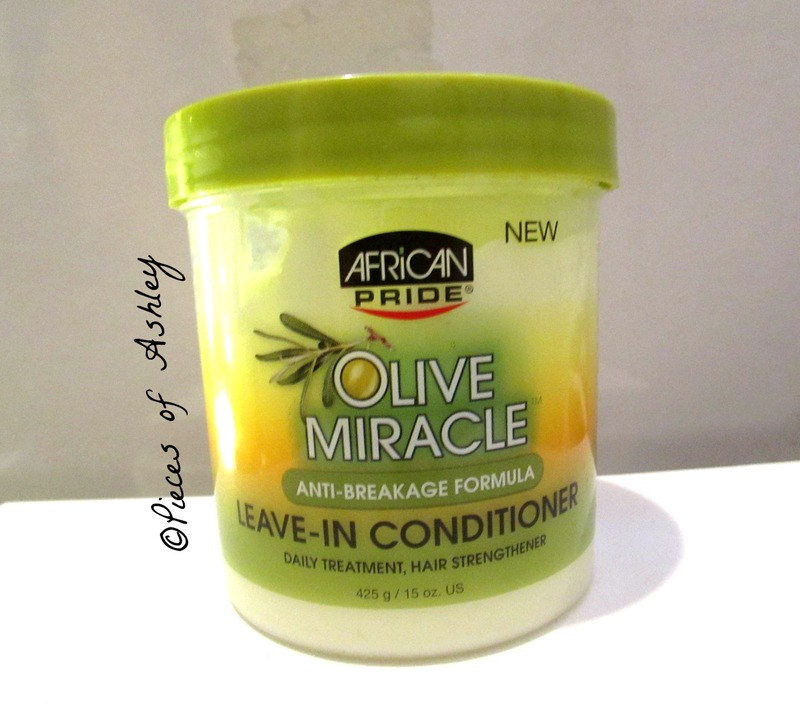 This is the Olive Miracle, Leave-Conditioner. It's an Anti- breakage formula, that is used as a Daily Treatment and Hair Strengthener. The Olive Oil Leave-in Conditioner is enriched with extra virgin olive oil. It protects hair from damage while strengthening the hair for a healthier look. This daily treatment leave -in moisturizes the hair and it helps repair dry, brittle, damaged hair. Since this is a daily treatment you can use this on dry hair. Do not rinse out and after that, you can style your hair as usual. You can also use this on wet hair after: shampooing, relaxing, perming, curling or coloring. But make sure you read the instructions on the manual. Towel dry and comb thoroughly, style your hair as usual. This product works great. I have been using this on my sister's hair for about 3 weeks and I do see a difference. My sister's hair is Medium/long in length and she wants it to be longer. This product is a daily treatment, so I use this on her hair everyday. This product provides moister for her hair. If your like us, you'll understand the feeling of dry hair. You have to show your hair a lot of TLC! I definitely recommend this product to you. It's at Walmart, but I'm pretty sure it could be at other stores like: Target and CVS. Thanks, I am following you back on GFC. I don't think I can find this product in Spain but I'd love to try it! Would you want to follow each other? Let me know! !